Birth asphyxia, or failure to initiate or sustain spontaneous breathing at birth, contributes to ∼27% to 30% of neonatal deaths in resource-limited countries, including Tanzania. Mortality rates have been high and unchanged for many years. Msemo, G, Massawe, A, Mmbando, D ,Rusibamayila, N, Manji, K., Kidanto, HL, Mwizamuholya, D, Ringia, P, Ersdal, HL, Perlman, J (2013). 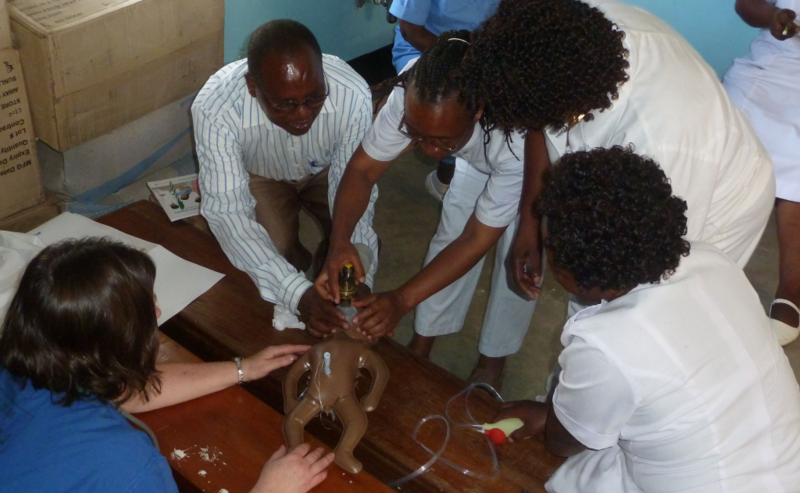 Newborn Mortality and Fresh Stillbirth Rates in Tanzania After Helping Babies Breathe Training. Pediatrics 131(2). e353-360. The Helping Babies Breathe program addresses the most common problems of neonatal deaths, using highly pictorial learning materials and low-cost simulators. Since no electricity or special technology is required, HBB can be taught anywhere learners can come together, making it very accessible to audiences in resource-limited countries around the world. After the Helping Babies Breathe program was implemented in 8 hospitals in Tanzania in 2009, there was a sustained 47% reduction in early neonatal mortality within 24 hours and a 24% reduction in fresh stillbirths after 2 years. 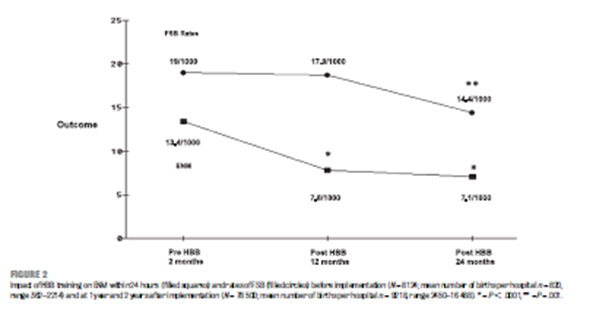 The HBB project is interesting in that pilot data at Haydom Hospital demonstrated a positive ROI. The larger regional project subsequently confirmed the positive results. Total deaths decreased from 53 to 34 following implementation equaling 19 lives saved. 19 (lives saved) X 55.4 years (life expectancy ) = 1052 life years saved. Cost per life year saved = USD 1515/ 1052. Life years saved= USD 1.44 per life year saved. Disability Adjusted Life years (DALY): a measure of overall disease burden, expressed as the number of years lost due to ill-health, disability or early death. The total number of DALYs averted was 578 DALYs if age weighting and discounting was applied and 1053 without age weighting and discounting. Converted to International Dollars (ID) the costs would amount to ID 22.75 per DALY averted and ID 12.49 per DALY averted, respectively for the two scenarios (table 3). Not cost-effective (more than three times GDP per capita) [WHO-CHOICE; 23]. As the GDP per capita in Tanzania is ID 2154 the HBB program can be ranged as highly cost-effective. Total costs for the initial HBB program in the Mbeya Region of Tanzania were $202,240, with the highest proportion due to initial training and equipment (45.2%), followed by central mainland program administration (37.2%), and follow-up visits (17.6%). Within Mbeya, 49 training sessions were undertaken, involving the training of 1,341 health providers from 336 health facilities in eight districts. cost is projected to be around $4,000,000 (around $600 per facility). Following sensitivity analyses, the estimated total for all Tanzania initial rollout lies between $2,934,793 to $4,309,595. In order to maintain the program nationally under the current model, it is estimated it would cost $2,019,115 for a further one year and $5,640,794 for a further five years of ongoing program support.